Children were not at an increased risk of autism after their mothers received the tetanus, diphtheria, acellular pertussis (Tdap) vaccine during pregnancy, a new study found. This was a retrospective cohort study of nearly 82,000 children with deliveries January 1, 2011, to December 31, 2014, at Kaiser Permanente Southern California hospitals. Previous studies have not found links between the vaccines and preterm delivery or low birth weight but had not studied potential correlations with autism. The “Prenatal tetanus, diphtheria, acellular pertussis vaccination and autism spectrum disorder” study, reported about 1.6 percent of the children were diagnosed with autism. Among those whose mothers received prenatal Tdap, 3.78 were diagnosed with autism per 1,000 person-years compared to 4.05 per 1,000 person-years in children whose mothers were not vaccinated. Women were more likely to be vaccinated if they were Asian/Pacific Islander, educated, received the prenatal flu vaccine and gave birth at term, according to this study. “We provide evidence supporting the ACIP’s recommendation to vaccinate pregnant women to protect vulnerable infants, who are at highest risk of hospitalization and death after a pertussis infection,” authors wrote. 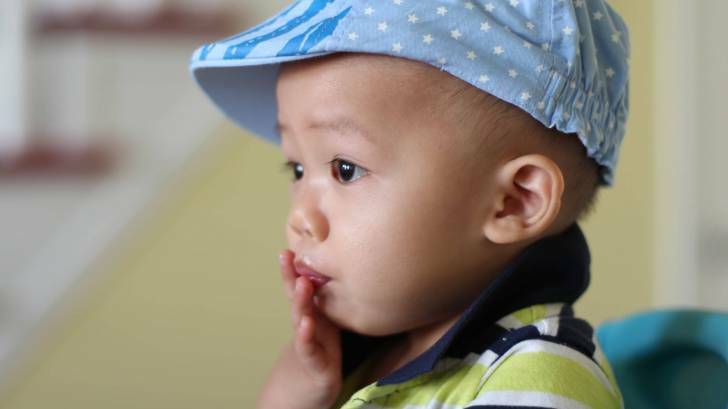 “Our results potentially indicate that the maternal Tdap vaccine affects immune trajectories protecting infants against infections that would otherwise lead to neurodevelopmental alterations,” these Kaiser researchers wrote. The Centers for Disease Control and Prevention’s (CDC) Advisory Committee on Immunization Practices (ACIP) recommends women receive Tdap vaccine during every pregnancy, preferably between the 27th and 36th week, to protect their infants from pertussis. Following ACIP’s recommendation, vaccination rose from 26% in 2012 to 79% in 2014. Before vaccines, as many as 200,000 cases of diphtheria, 200,000 cases of pertussis, and hundreds of cases of tetanus were reported in the United States each year, says the CDC. Since vaccination began, reports of cases of tetanus and diphtheria have dropped by about 99% and for pertussis by about 80%. A study looked for adverse reactions associated with diphtheria, tetanus toxoid and acellular pertussis (DTaP) vaccine, from 1991 to 2016. This new study of trivalent inactivated influenza vaccine found that pregnant women who were not infected with the human immunodeficiency virus were 50.4 percent efficacious in preventing polymerase chain reaction (PCR) confirmed influenza infections. Most pharmacies in the USA offer the Tdap vaccine. According to the CDC, a person who has ever had a life-threatening allergic reaction after a previous dose of any diphtheria, tetanus or pertussis containing vaccine, or has a severe allergy to any part of this vaccine, should not get a Tdap vaccine. These Kaiser researchers: Tracy A. Becerra-Culqui, Ph.D., MPH, OT/L, Darios Getahun, MD, Ph.D., MPH, Vicki Chiu, MS, Lina S. Sy, MPH, Hung Fu Tseng, Ph.D., MPH are with the Department of Research and Evaluation, Kaiser Permanente Southern California, Pasadena, California. Various industry relationships were disclosed. This study was funded by Kaiser Permanente Southern California internal research funds.